At the centre of the heat wave is Hebei Province, which surrounds Beijing. Nine of its cities are at the top of the nation's most hottest places. Here's what that type of heat can actually do we put fresh vegetables on the hood of a car at noon. Within one hour, they have shrivelled up. At the centre of the heat wave is Hebei Province, which surrounds Beijing. Nine of its cities are at the top of the nation's most hottest places. Another test is putting water into a fish tank. Within an hour, it has totally evaporated.. This is the provincial capital Shijiazhuang, where traffic policeman Xiongwei is on duty. His secret to beating the heat? A bowl of green bean soup. "You'll be dripping with sweat in little over 10 minutes. You can work for at most 30 to 40 minutes." Fu Xiongwei, Deputy Captain of Traffic Police Battalion, Yuhua District said. After his shift, he tracks down unregistered motor bikes with his colleagues. It's a gruelling game of hide in seek in the heat. A lot of motor bike owners don't understand why they are being tracked. Well, they don't have plates or licences. If there's a traffic accident it's hard to track them. 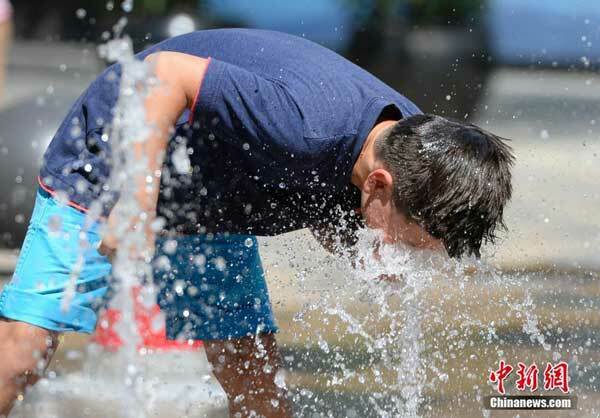 At its peak, the mercury in Shijiazhuang hit 42 degrees Celsius. The water level in this tank fell by one centimeter, or about half of a regular water bottle. In east China's Shandong province, the scorching heat has resulted in several cars catching fire. This fire was so big that firefighters had to keep their distance as they put out the blaze. Three minutes later, it turned out to be an ambulance. It was en route to a hospital with a patient and doctor on board. Luckily all got out when the vehicle went ablaze. Elsewhere, a motor bike caught fire while streaming down the road. The scene was caught on a car's surveillance camera. The rider was quick enough to jump off the bike. 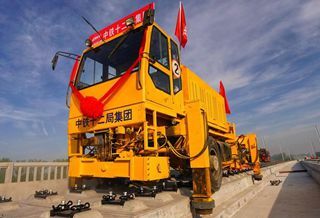 And, with the sweltering weather showing no signs of letting up, a Chinese online insurance company, ZhongAn Insurance, recently launched a new product: high temperature insurance. Costumers can pay a premium of 10 yuan, and can get up to 100 yuan in coverage if temperatures in their home cities rise to 37 degrees Celsius or above for a certain number of days. It has since become a hot seller online.